More than 3000 exhib­its bring all aspects of the day-to-day exist­ence of our ancest­ors to life. Mater­ial cul­ture, tech­no­logy, build­ing tech­niques, art, and, not least, the people them­selves are the focus of our per­man­ent exhib­i­tion. Always on the cut­ting edge of the most recent find­ings from archae­olo­gical excav­a­tions and research, the ALT graph­ic­ally and inform­at­ively con­veys the his­tory of set­tle­ment, along with the eco­nomic and social his­tor­ies of the region. Unique, ori­ginal finds, fas­cin­at­ing mod­els, life-size recon­struc­tions, and mul­ti­me­dia install­a­tions will take you on a jour­ney through the his­tory of Thuringia. From the dawn of human­ity, through the Stone Age and sub­sequent cul­tures and into the Middle Ages, his­tory is brought to life. 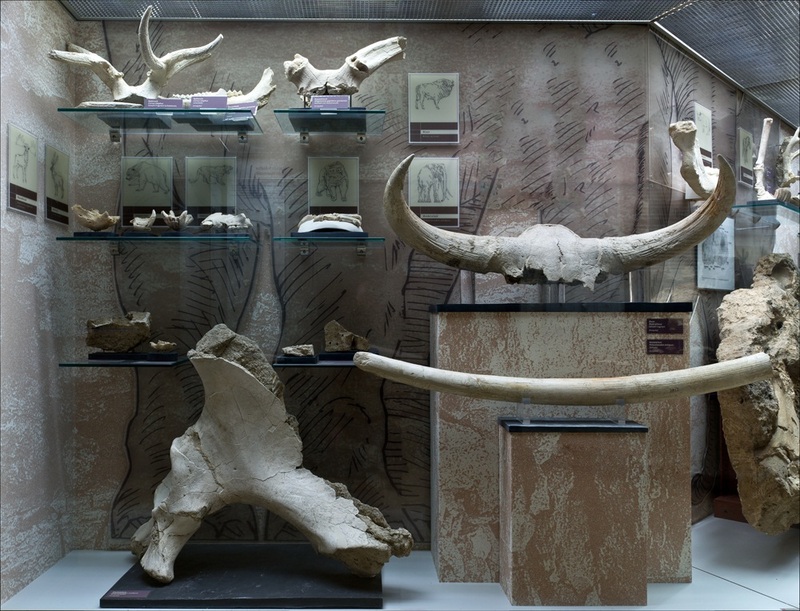 In the museum you will find, for example, arte­facts from the camp site of the Bilzingsleben Homo erectus, who hunted Merck’s rhino­ceros and straight-tusked ele­phant, or the remains of a proto-Neander­thal found in travertine depos­its near Wei­mar-Ehrings­dorf. 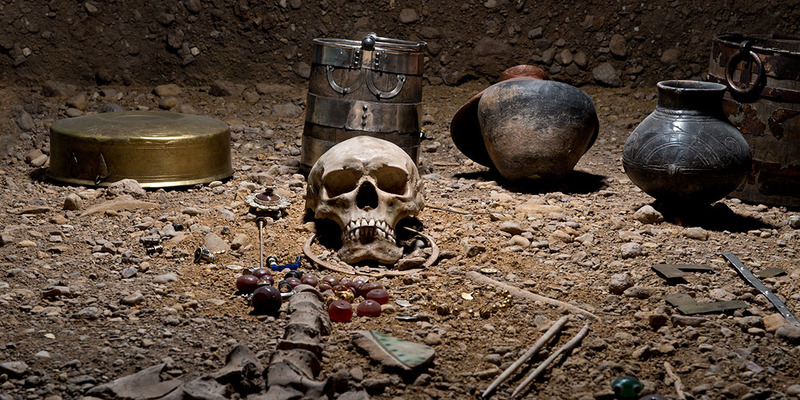 Mar­vel at valu­able burial goods, such as the mag­ni­fi­cent jew­ellery of gold, sil­ver, and gem­stones which, along with lux­ury items from the Roman Empire, sur­roun­ded the body of the Ger­manic ‘Prin­cess of Hassleben’, found near Erfurt. Or let your­self be trans­por­ted into the past by archae­olo­gical arte­facts from the time of the King­dom of Thuringia, such as weapons that accom­pan­ied buri­als or the opu­lent gold jew­ellery bur­ied with the ‘Lady of Oss­mannstedt’.